Discover the spectacular sights, delectable cuisine and rich history of Vietnam and Cambodia, on a LUXURY journey from Hanoi and the limestone peaks of Halong Bay, to Siem Reap and the magnificent temples of Angkor. 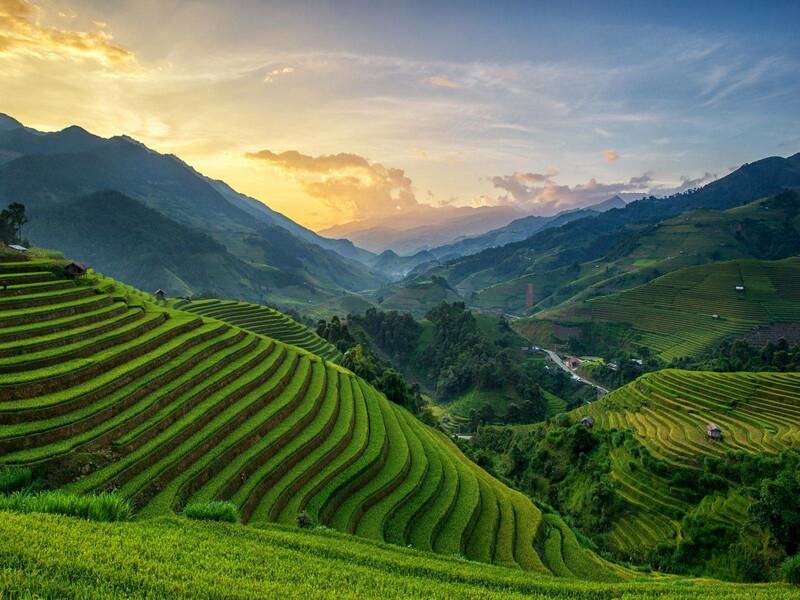 Visiting enchanting Sapa, Tam Coc, Hoi An, Saigon, Cu Chi and the Mekong en route. 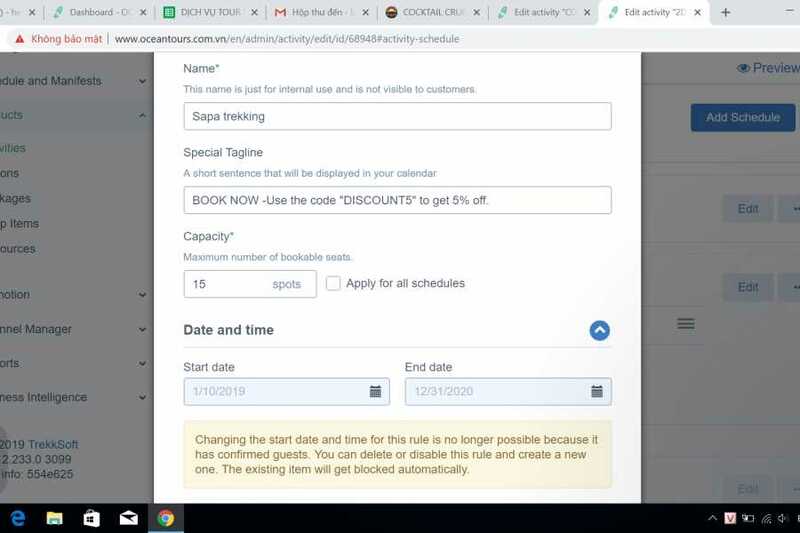 Arrive in Hanoi and transfer to your hotel. Stay overnight in Hanoi, 5* Hotel. Free day for you to rest or begin exploring the city. In the afternoon, take a 1-hour bike ride through the Old Quarter, enjoy Hanoi’s beautiful late-afternoon colors, and visit a traditional Vietnamese “long house”. In the evening watch a performance of the renowned Water Puppet Theater whose origins date back over a thousand years. Take off from Hanoi on our PRIVATE CAR at 6PM to be in Tam Coc at 21.30. 7.30- 8.30 - Have breakfast and take in the mountain scenery as you get ready to explore the surrounding area. 9.00 - Take the early boat trip down to the Tam Coc River- rowed by the local people - in Hoang Long river to visit Tam Coc (three caves) on the way. You pass through three enormous caves that provide a brief respite from the intense summer sun. It takes approximately two hours to go up and down the river and along the way, you witness local fisherfolk, village life along the river and, of course, the striking limestone karst formations that Tam Coc is famous for. 12.00- 12.30 - Enjoy lunch at Duc Tuan Restaurant served with goat meat that the Ninh Binh province is famous for. - After lunch, you connect the bicycles from the hostel and are then free to explore the local countryside and ancient temples that surround Tam Coc. 15.00 - Be back at Duc Tuan Restaurant, then the bus will pick up and transfer you back to Hanoi after two hours. You have your breakfast at a hostel in Sapa town and then leave the big backpack there for free. Just take with you a small bag with necessary stuffs for 2 days trekking. 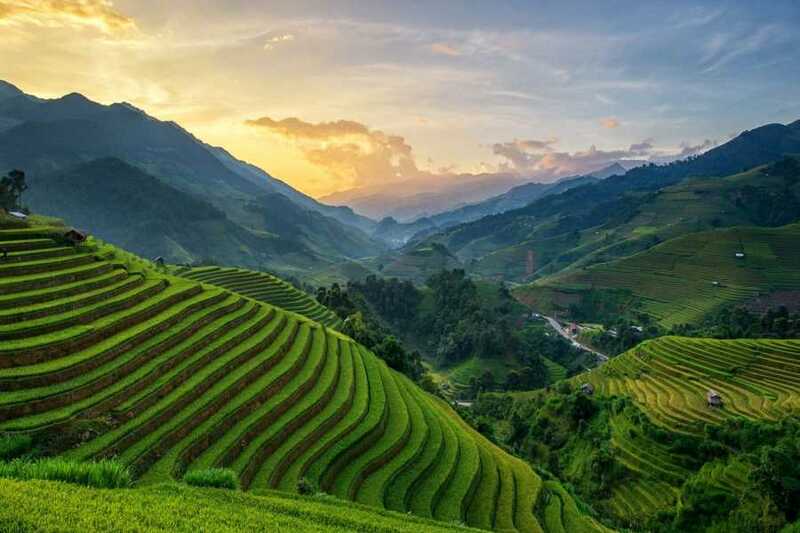 You will begin the trek to Villages such as Sa Seng, Hau Thao, Su Pan and Giang Ta Chai to see the famous rice terraces and mountains of Sapa. You will enjoy the lunch with local family and have a short break. You will be taken to local markets and introduced to our guide’s family to get some insight on the Black H’Mong people’s unique way of life. Our guide will answer any questions you may have about her people and the region. You will have dinner when you arrive at the Homestay in Giang Ta Chai village and rest up for tomorrow’s trek. Wake up to the morning mist and the sounds of the village as the locals start their day. You will have breakfast at your homestay then start the scene trek. You will trek to the bamboo forest, Seo Mi Ti village and Giang Ta Chai's waterfall to witness the daily life of the H'Mong and the Red Dao people. After a break to enjoy the fabulous view from the waterfall, you will trek back to Ta Van homestay to have lunch and pack up your gear head back to Sapa by a car. You will have 1 hour to pick up any last minute souvenirs before catching a 4PM TRAIN back to Hanoi. Stay overnight in Hanoi, 5* Hotel. 11.30 - 12.15 - Arrival at Hon Gai International Harbour. 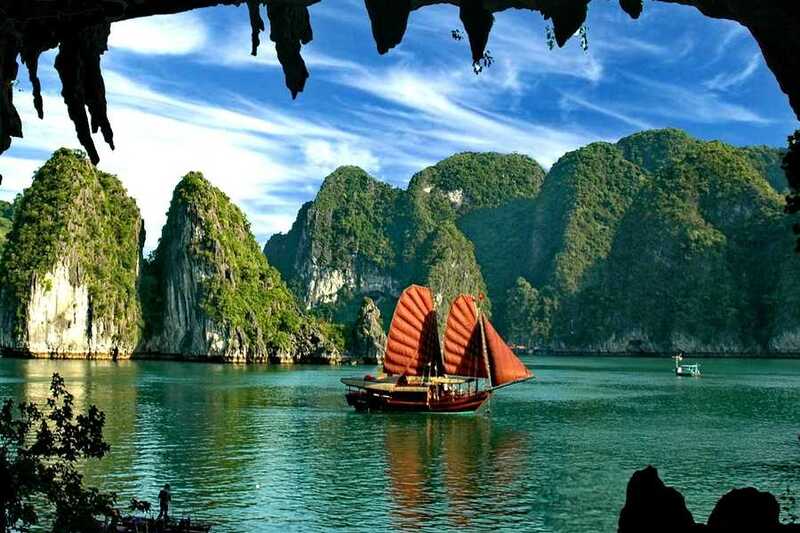 12.30 - 13.00 - Transfer by tender to boat, enjoy Welcome Drink, Depart to Bai Tu long Bay. 13.00 - 14.30 - Enjoy Lunch while cruising to magnificent Bai Tu Long Bay, admire the fascinating formations on the way. 15.30 - 16.30 - Transfer from boat to rowing boat to visit Vung Vieng Fishing Village.Rowers are local people wearing traditional costume. It’s the opportunity to see the fisher’s daily life with the primary features in the charming nature. 16.45 - 17.30 - Enjoy relaxing on a white sandy beach at Ban Chan Beach. 17.30 - Return to boat - Continue cruising through the bay. 18.30 - Anchor for overnight at Cong Do area. 18.30 - 19.00 - Cooking Demonstration in restaurant. 19.30 - 21.00 - Savor a delicious Set Dinner in dinning room. 21.00 - 22.30 - Activities: Relax on deck, Beauty Spa services, drink service available or night time fishing. 23.00 - Relax, enjoy fresh air & overnight on board. 06.30 - Enjoy sunrise over the Bay or take part in our morning Tai Chi session. 06.45 - 07.45 - Coffee, tea and breakfast pastries served in dining room. 08.00 - 08.30 - Explore the well- hidden Thien Canh Son cave. 09.30 - 10.30 - Having international Buffet Brunch served in dining room. At 7:30 am: Our driver and Guide will pick you up at your hotel in Hoi An center and depart to My Son Holy Land to explore and research. In My Son Holy Land, the towers and tombs have been dated from VII century to XIV century, but archaeological findings show us that the Cham kings were buried here since IV century. The total of buildings are more than 70 towers including small, normal and large towers. My Son Sanctuary supposedly is the religion center and culture of the Champa Ancient KinGdom. 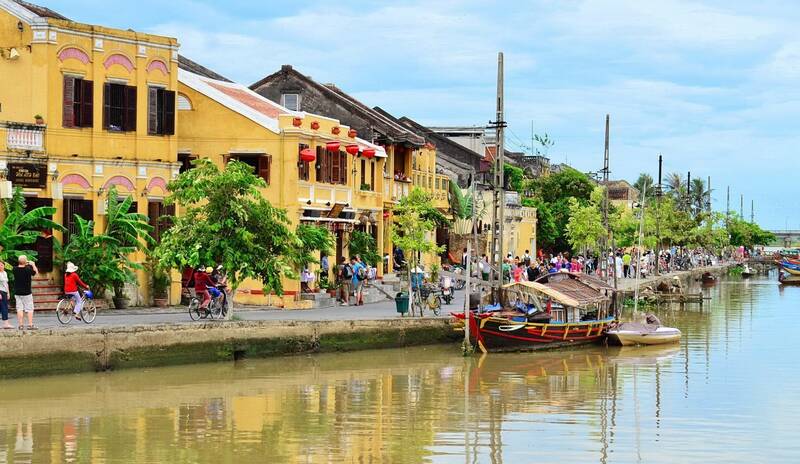 After visiting My Son Sanctuary, learn about its history as well as architecture, you will come back Hoi an boat. 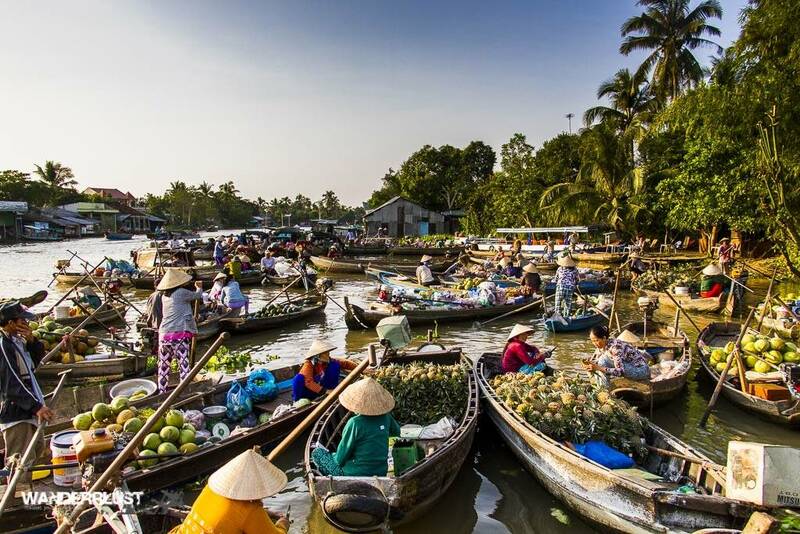 You will then travel up the Thu Bon river by motorized boat , stop to visit the traditional Kim Bong carpentry village before returning to Hoi an center. COME BACK TO HOI AN AT APPROXIMATELY 3PM. After 9 days of active travelling this beautiful country you deserve a day to relax. Enjoy Hoi An, it’s beautiful people, architecture, beaches and incredible food. You can rent a bicycle or hire a taxi to move around. Tailor Made Clothes: There are more than 400 tailor shops around the town for everything: dress, skirts, shirts, bikinis, shoes, accessories and even jewelries. You can custom made whatever you want. 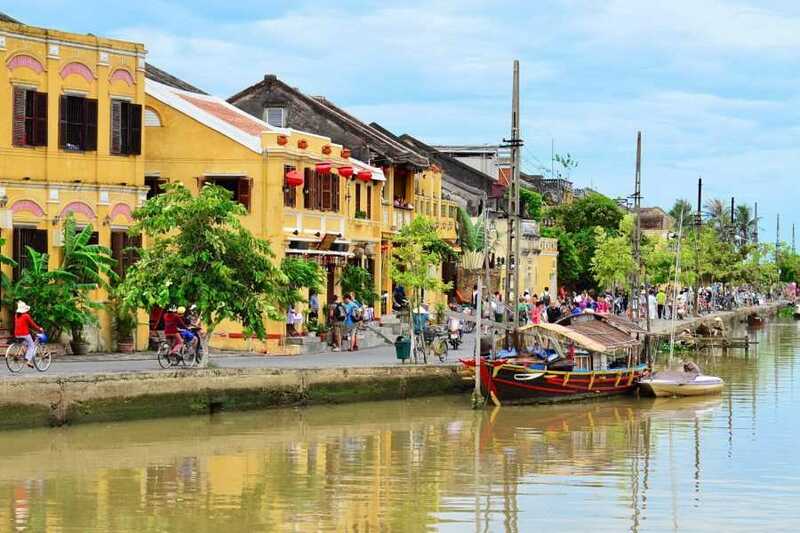 Get Lost: Though tourists seem to almost outnumber the locals in the town, Hoi An’s Old Town has lost none of its traditional charm. Life here moves in the slow lane, with this town seemingly still stuck in the old ages, in a good way. 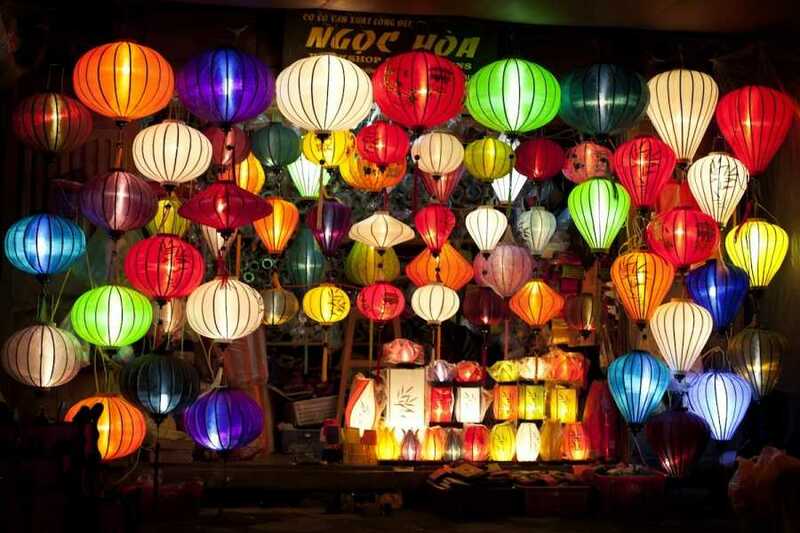 Hoi An is famous for its hand-made lanterns, which adorn all the main streets in the Old Town. Found in an array of colours and designs, the brighten up the street during the day but look even better at night when they are all lit up. There are numerous cultural attractions to spend your time in, including the Japanese Bridge and various old houses and assembly halls. If that’s not your thing, rent a bicycle or hire a cyclo driver and explore the streets and river banks whilst being accompanied by gentle music playing on loudspeakers throughout the town! Evenings are a special time in Hoi An, when the town really comes to life. Everyone seems to come out to play once the sun goes down and the lanterns are lit, with lots of activities to be had. Check out local performances and get-togethers, munching on some street food or buy a floating lantern for luck (to send down the river). Be sure to head over the bridge to the An Hoi peninsula for the night market and stunning views of the warmly lit up streets of Hoi An from the opposite bank. FREE TIME: We highly recommend to go to the War Museum today to have enough historical and cultural background to fully appreciate the trip to the Cu Chi Tunnels. 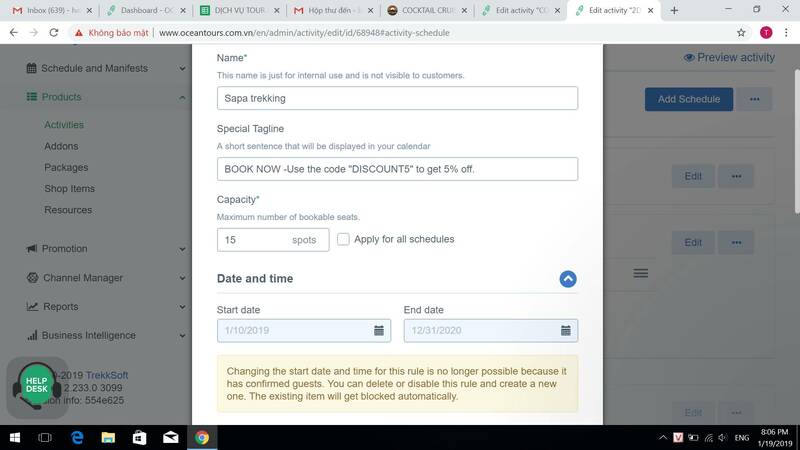 8.00: Pick up at your hotel & Transfer to Cu Chi where you will spend half day. The Cu Chi Tunnels, which highlight the dedication and ingenuity of Viet Cong soldiers during the Vietnam War, are a must-see destination in Southern Vietnam. On your Cu Chi Tunnels half-day tour, you’ll spend the morning wandering this vast underground complex that was once buzzing with thousands of soldiers. The site is a startling contrast to today’s Vietnam, a fast-developing country where the legacy of war is almost forgotten. 08:30: Depart from your hotel in Siem Reap and drive to the jungle temple of Ta Prohm. Embraced by the roots of enormous fig trees, it is well-known as the location for the Tomb Raider movies, and was founded by the Khmer King Jayavarman VII as a Mahayana Buddhist monastery in the late 12th century. Trek through thick jungle to the remote and peaceful temple of Ta Nei and walk along the west gate through the forest until you reach the east entrance of the sandstone Ta Keo Temple. Enjoy superb jungle views, before heading to a local restaurant for lunch. 14:00: Continue your Angkor Thom tour at Victoria Gate, one of the 5 gates of the old city. Walk to Elephant Terrace, from where Angkor rulers would view their returning armies. Continue to the Terrace of the Leper King. Admire the enclosure of the Royal Palace, and the Hindu temple of Phimean Akas (Celestial Temple). Continue to the 3-tiered mountain temple of Baphuon, and the richly-decorated Bayon Temple, known for its impressive bas-reliefs. Return to the hotel and freshen up for dinner at a local restaurant, where you will watch a traditional Apsara performance recounting the myths of the cloud and water spirits. 08:30: Depart from your hotel to visit Angkor Wat. 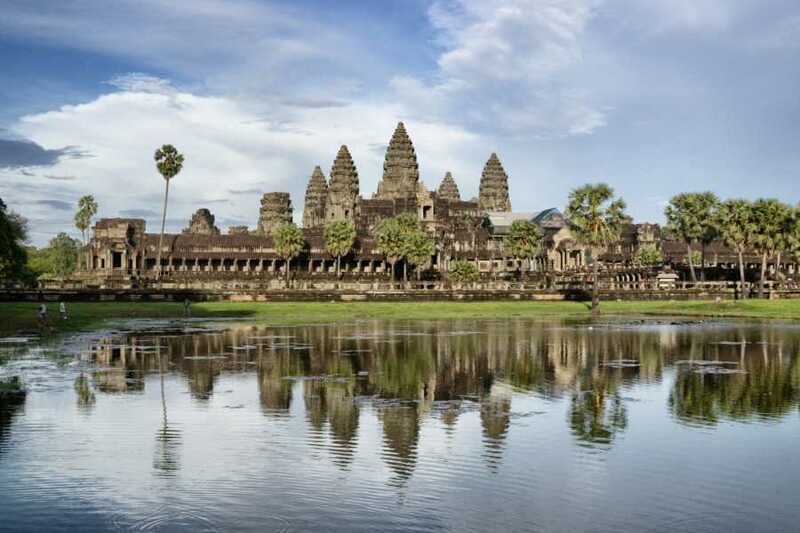 Built by King Suryavarman II in the early 12th-Century, it is one of the most extraordinary structures in the world. A prime example of the classical style of Khmer architecture, explore the temple complex, before heading for the ancient Buddhist University of Preah Khan. Continue to Neak Pean, an island temple sitting in the tranquil pools of an ancient reservoir. Enjoy lunch at a local restaurant. 14:00: Continue your tour at Banteay Srei, the exquisite “Women’s Citadel” near the hill of Phnom Dei. En route, watch the daily life of sugar palm farmers, and visit the 12th-century Hindu temple of Banteay Samre. Drive back to Siem Reap at the end of your extraordinary 2-day adventure. The tour ends with a hotel drop-off at approximately 17:00. TRANSFER TO SIEM REAP INTERNATIONAL AIRPORT 3H BEFORE DEPARTURE.